Today the ARRL has announced the start of the new Volunteer Monitoring program effort which will be led by Mr. Riley Hollingsworth, K4ZDH. Hollingsworth will resign from that position in order to begin the implementation of this new ARRL program. has resigned his vice directorship in order to avoid any appearance of a conflict of interest. Hollingsworth said in his resignation letter. 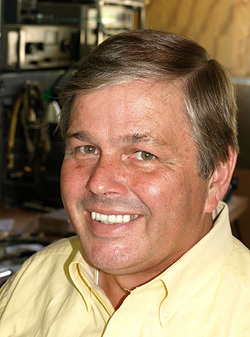 Riley’s decision to concentrate his efforts on this very valuable project on behalf of the ARRL,” said Roderick. will monitor the airwaves and collect evidence that can be used to correct misconduct or recognize exemplary on-air operation. enforcement efforts in the Amateur Radio bands. It was proposed by the FCC in the wake of several FCC regional office closures and a reduction in field staff. Hollingsworth has identified three phases to the program – Development, Solicitation and Training, and Implementation. manager position, and developing a training manual for volunteers. The Solicitation and Training phase will involve identifying the geographic locations where volunteer monitors will be most needed, soliciting applications and screening applicants. requirements. In addition, there will be continuing education provided to the volunteers. enforcement actions, and to advocate for rapid disposition of cases appropriately submitted to the FCC. ARRL officials estimate that it will take 9 to 12 months for the first Volunteer Monitors to begin filing their reports. In other ARRL News, the new ARES-2019 plan is posted on the ARRL website. http://www.arrl.org/ares-plan for more detailed information. publication of Position Task Books. 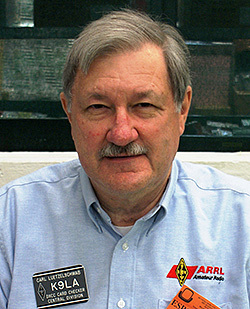 http://www.arrl.org , click "edit your profile", and add a checkmark next to the ARRL Letter.